I really like the travel challenges thrown out there by Where’s My Backpack. They always make me think of the places I have been and what little portion of the photos I’ve taken that I may not have realized held that color, that concept, or that view that I missed when doing editing. Here is a sign I found in Portland, Oregon. I like it because I am from Paris, TX ….well, you catch on from there. Enjoy! P.S. 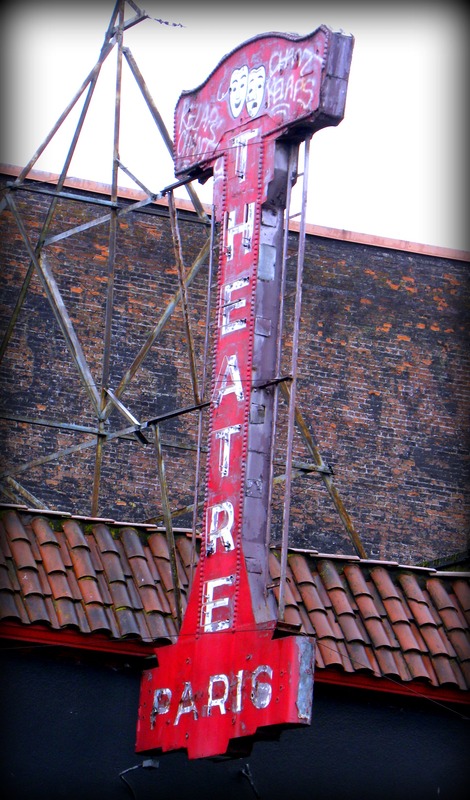 The theatre has quite a history & for the record I did NOT attend any shows there!!! Here is the link to the theatre. This entry was posted in Challenges, Where's My Backpack Challenge and tagged Found Round and about, Paris, photography, Portland, Portland OR, red, red sign, sign, theatre Paris, tisha clinkenbeard photography, travel, Where's My Backpack Challenge. Bookmark the permalink. It did capture my attention. Red is my favorite color and it had Paris on it!